Decluttering has never been more in vogue. Eliminating extra stuff rewards you with clear shelves and even a clearer mind. But before you hit delete or put it in the trash bin, Ann Marie Maloney, communications manager at AICPA, says consider these suggestions for what to keep and how to keep it so you can still enjoy it (and identify it) years later. 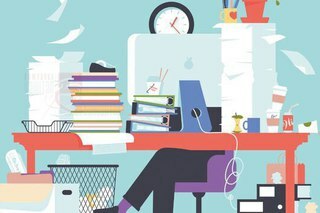 To read the full article in AICPA, click: Three Things to Keep When you Tackle Clutter.